We were in an area of Williamsburg we hadn't been to before scoping out some potential new apartments and we were famished. 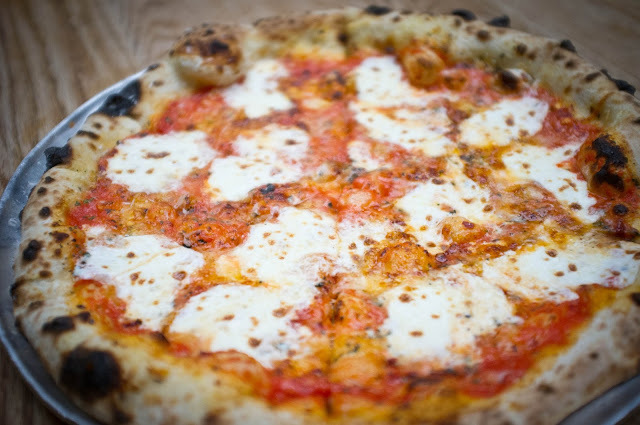 I pulled out my phone and was very surprised to find that we were really close to Roberta's which has been on my "must-try" list for a while thanks to the ravings of a good friend of ours. So we headed towards it and found ourselves walking down an abandoned warehouse lined street with not a soul in sight. Even The Mr. started getting a little nervous. Midway down the block, a cab going in the opposite direction stopped and some girls asked us if we knew where Roberta's is. Uh-oh, I thought it was just up ahead, but if that was the case, they should've passed it. This wouldn't be my first time getting led astray by Google Maps...but when we got to the corner it was supposed to be on, we were pointed to a very inconspicuous door. Opening it was like falling through the back of the wardrobe into Narnia. We were suddenly surrounded by warmth, a lively crowd, and enticing food. 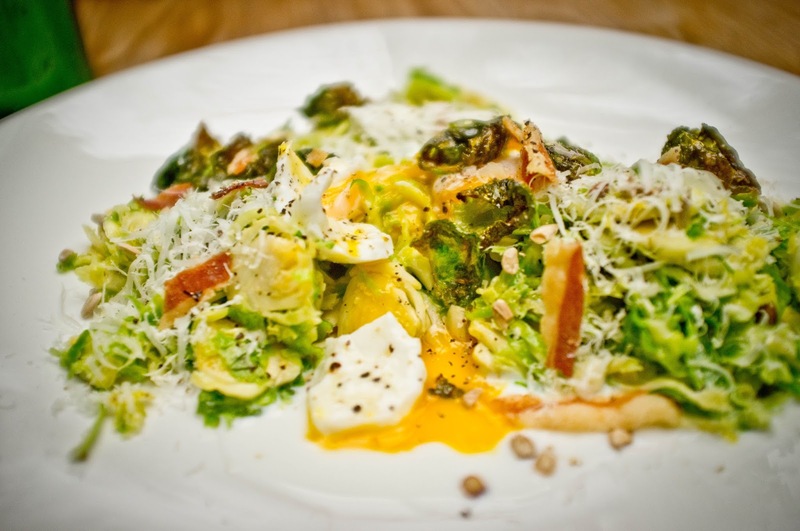 At our friends suggestion, we started with the Brussels Sprouts- shaved and served with soft boil egg and pancetta. 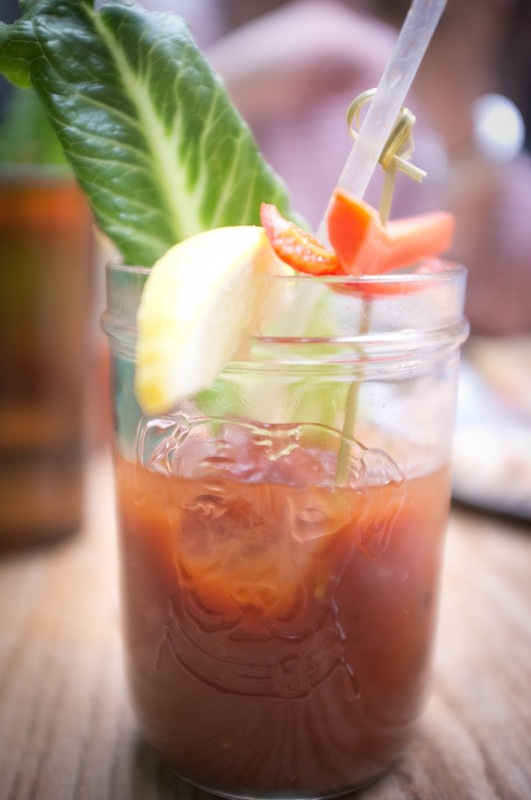 We also ordered their Bloody Mary's which were simply incredible. But we were really excited about the main event: the pizza! It was an agonizing decision, but in the end when you are trying a new place and they have something on the menu called "The Famous Original", that's a pretty good place to start. We absolutely loved every second of our time at Roberta's and hope our travels bring us to this shady street in Williamsburg again sometime very soon.